God's finger touched him, and he made a donair. The nightlife in Nova Scotia leaves an impression, if you can remember it. There are approximately 200 restaurants, bars and music venues in the downtown district alone. 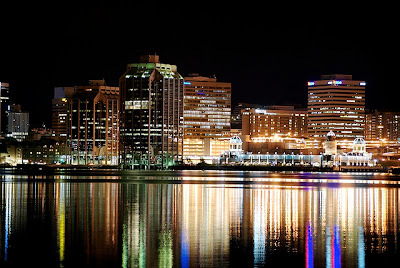 There also is, among other things, Casino Nova Scotia, multiple art galleries including the provincial AGNS, Neptune Theatre and Symphony Nova Scotia. If you can't find something to do, there's something wrong with you. One of the more popular bars downtown. 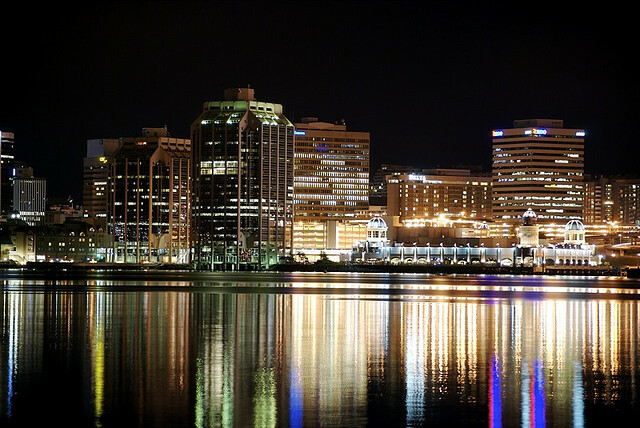 But back to the bars… Halifax is home to some fine nightlife, partly due to the presence of five universities on the peninsula that Halifax calls home. So let's cut to the chase. 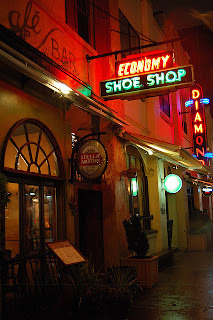 You've had a few more than you should and are wandering on your way home. An idea strikes you. You want a Donair. 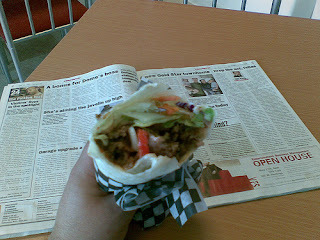 A real, honest-to-goodness Halifax Donair. They're a beauteous thing of their own, slowly becoming available across Canada as ex-pats take their late night food cravings with them. Halifax donairs are a pita loaded with tomatoes, onions (use them), and spiced meat freshly sliced off a spit, all coated with a sweet/sour sauce made of evaporated milk, garlic, vinegar and sugar. It sounds odd, but the result is amazing. Just the thing for a 2am stroll. Ask any Haligonian if they have a story of waking up with donair sauce all over them. If they deny it, they're lying. If a pita doesn't turn your crank, you can order donair pizza, which is the same ingredients on a pizza crust and topped with lots of bubbling mozzarella cheese. You apply the donair sauce on top — always. It's equally delicious. I just made this and will swear in court to its claims. Remember to visit the original recipe on Food.com. "For the true donair fan. This recipe is tried and tested. If you enjoy Halifax donairs then you'll love this recipe. When making this recipe use only the finest spices available, they make a huge difference." Preheat the oven to 350°F (175°C). In a cup or small bowl, mix together the salt, oregano, flour, black pepper, Italian seasoning, garlic powder, onion powder, and cayenne pepper. Place the ground beef in a large bowl, and use your hands to blend in the spice mixture. If you want the smooth texture of meat that you see in a real donair shop, you must do this in a steel mixing bowl and on a sturdy surface. 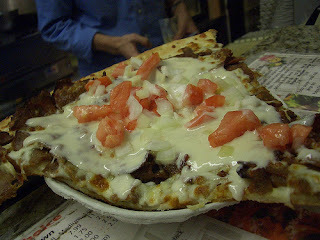 Donair Pizza. Just as good, and easier to eat. Form the meat into a loaf, and place it on a broiler pan. If you do not have one, a baking sheet will do. To make the donair sauce, mix together the evaporated milk, sugar and garlic powder in a medium bowl. Gradually whisk in the white vinegar, adding 1 teaspoon at a time, until thickened to your desired consistency.